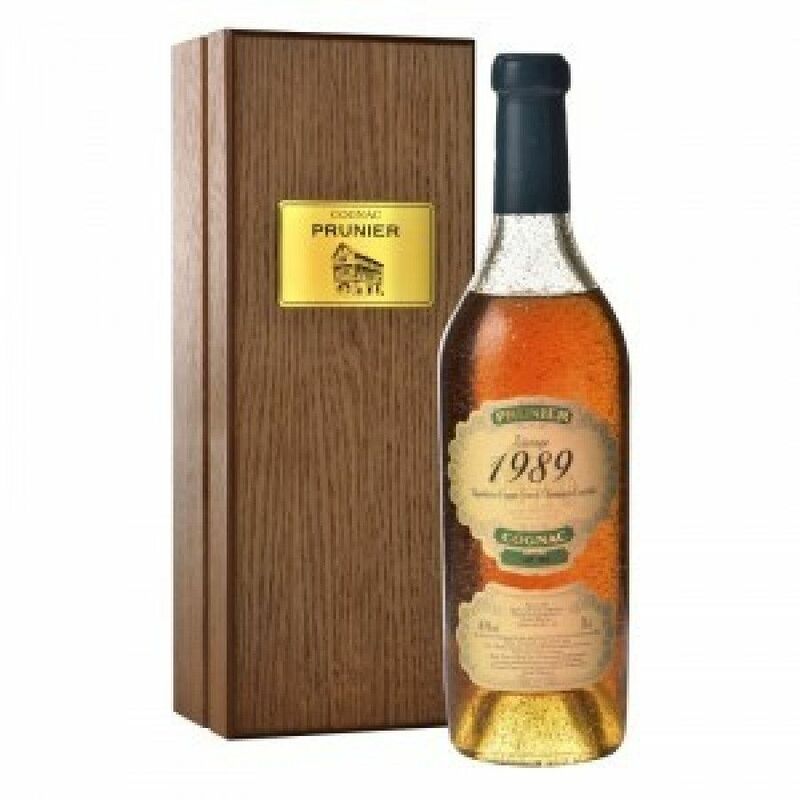 Prunier 1989 Millésime Grande Champagne Cognac s a vintage blend from, as the name suggest, the Grande Champagne growing region - also know as the Premier Cru, or 1st Cru. The grapes for this cognac were harvested in the year of 1989, aged in oak barrels, and bottled in 2011. The natural ABV degree is at 46,9° - the edition is limited to a few hundred bottles.